Best known for her line of eponymous handbags, Kate Spade is expanding her empire in a whole new direction: home furnishings. 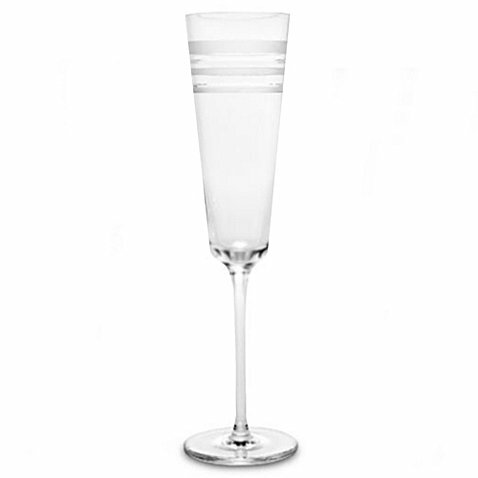 kate spade new york Library Stripe Wheat Beer Glasses have alternating deep cut bands of frosted and clear glass that showcase kate spade's timeless sensibility. A perfect addition to any home bar, these 22 oz. 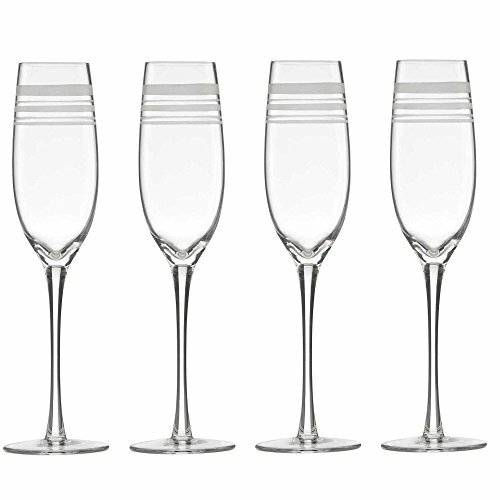 kate spade beer glasses are crafted of dishwasher safe glass by Lenox under license by kate spade new york, which has reviewed this product for quality and authenticity. 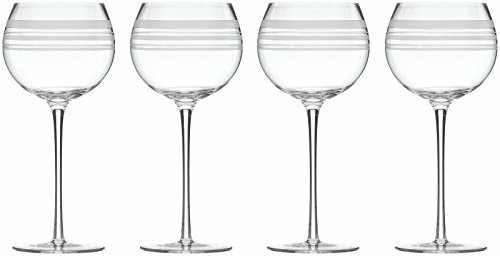 kate spade Wheat Beer Glasses are sold in sets of 4, are 8.5" tall, hold up to 22 ounces and are dishwasher safe. Packaged in a kate spade box. 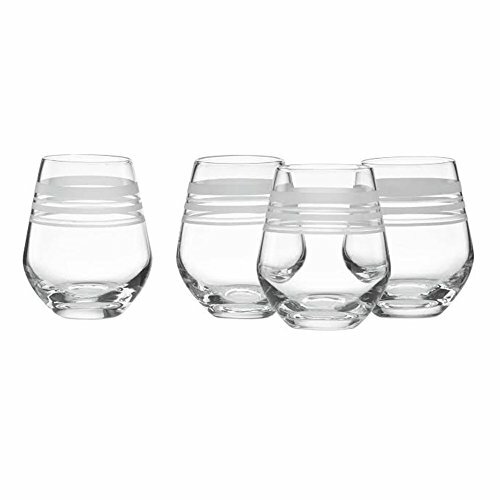 A set of four kate spade new york beer glasses - pint glass, pilsner glass, IPA glass and wheat beer glass - is circled by chic, frosted stripes that showcase kate spade's timeless sensibility. 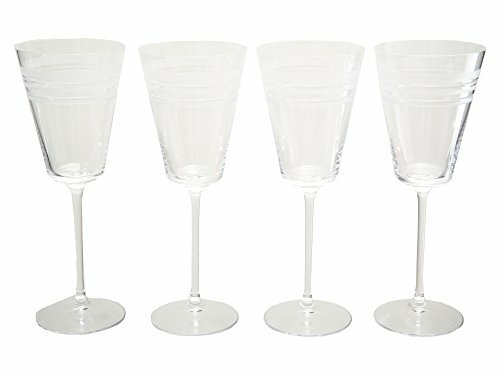 Library Stripe Variety Beer Glasses are crafted of dishwasher safe glass by Lenox under license by kate spade new york, which has reviewed this product for quality and authenticity. 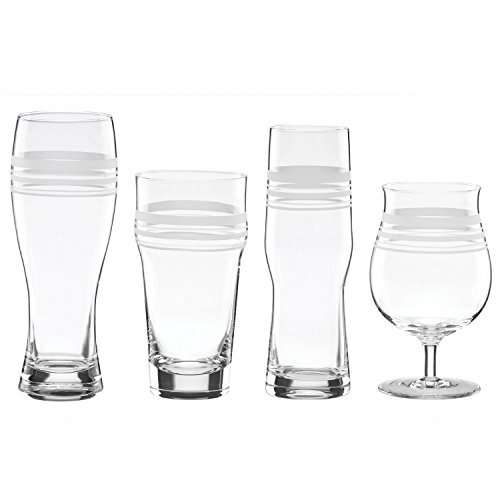 The four-piece beer glass set includes: one 20 oz. 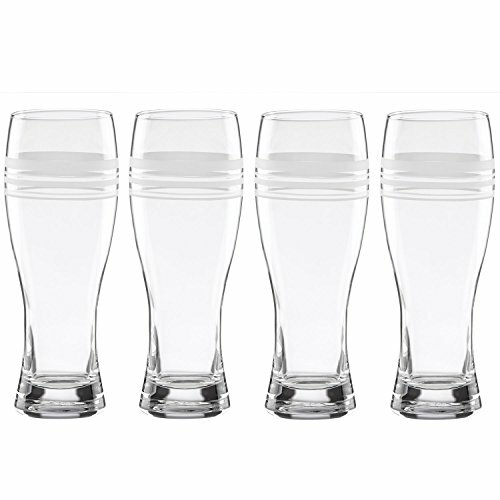 pint glass, one 18 oz. 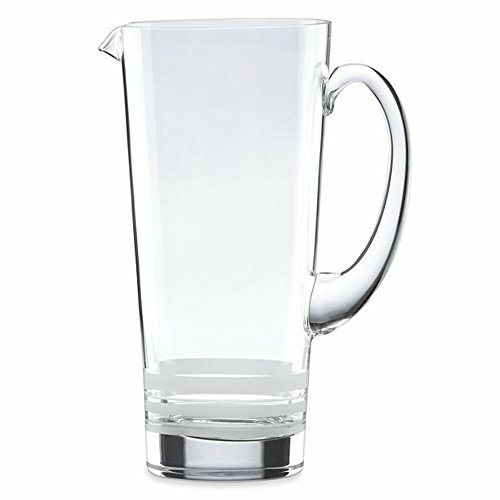 pilsner glass, one 18 oz. IPA glass, and one 22 oz. wheat beer glass. Dishwasher safe. Packaged in a kate spade box. 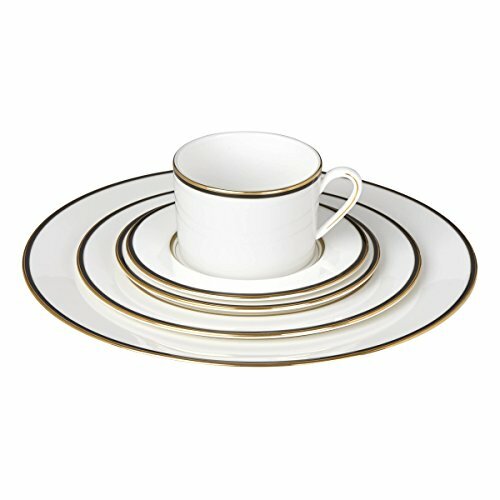 Copyright © Wholesalion.com 2019 - The Best Prices On Kate Spade Library Stripe Online.